We are a husband and wife team with Keller Williams Realty. We have over 20 years of real estate experience and are proud to be a top producing team. Gwen and I use our business knowledge from our sales and marketing backgrounds to give our customers the very best service and match their lifestyles with the homes they buy. In the Oldsmar real estate market there currently are 19 single family homes listed as active for sale in the $150,000 to $300,000 price range. There are 27 houses under contract in this price range and in the last month, 7 houses in this price range were sold. Of the houses for sale in the Oldsmar real estate market, the smallest is 1,190 square feet and is a 2 bedroom/2 bath house. The largest house in this price range is 2,987 square feet and is a 4 bedroom/3 1/2 bath home. For the houses that sold in Oldsmar, the smallest was 1,284 square feet, sold for $152,500, and was on the market for only 6 days. The largest house that sold was 2,984 square feet, sold for $245,000, and had a private pool. 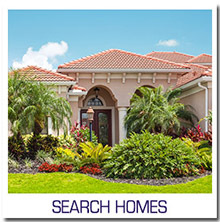 If you would like to search for houses in Oldsmar, visit our Sun Bay Associates website and build your own unique search. Then, when you find the perfect home, all us and go take a look at it. 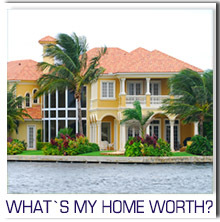 If you are interested in finding out what your home, or any home in the area is worth, check on it with our Sun Bay Associates home valuation tool. Short Sale – Good News. This is just a very quick little note. On May 26, 2013 we listed a condo, as a short sale, with two mortgages. Both mortgages were with Chase Bank. Today, August 21, 2013, the short sale was closed sucessfully. Chase Bank is wonderful to work with! Our seller is happy, our buyer is happy, and the Realtors who dealt with Chase Bank are happy. Thank you Chase Bank. A closed short sale in less than 90 days. Woo Hoo!! Now that the good news is out, here is the kicker. The Mortgage Debt Relief Act will expire at midnight on December 31, 2013. Congress has no intention of extending it. If you are in the position of having, or wanting, to sell your home and it is worth less today than your mortgage balance, you might be in a short sale situation. You still have time to list your house and get it sold and NOT have the forgiven balance count as income. The difference between the amount owed and the market value is why it is called a short sale. A short sale does not have to be a big scary monster. Talk to us and we can provide you with expert information, including finding an attorney who specializes in distressed property if that is necessary. To learn more about what this might mean to you, contact us at Sun Bay Associates. If you are not sure of the current market value of your home, click on our home valuation link and get an estimate of your current market value. What is Going on with Dunedin Real Estate? The Dunedin real estate market is relatively stable lately. The median sales price for residential homes is just over $151,000 for the year. The average number of days on market is 83 and as of today, August 6, there are 276 homes being actively listed in Dunedin. Those are the facts. 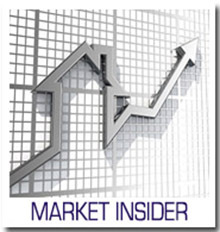 If you would like more facts and community information visit our Sun Bay Associates Market Leader link to get the details. What is not quite so easy to quantify is the lifestyle of Dunedin. It is a warm and friendly little city with a whole lot of things to do, street festivals, craft fairs, special holiday events like Cinco de Mayo, Mardi Gras, Wine the Blues, Old Fashioned Christmas, and so much more. And then there is the Gulf of Mexico. It is scenic, calming, beautiful. And it offers beaches, fishing, boating, and more. Check it out and get a visual about why you might want to buy Dunedin real estate. Bay Arbor Real Estate Update.